Shane O’Driscolls prints are fragments of his travels, as he likes to use imagery taken from his trips, which he distils down to a minimal graphic composition. 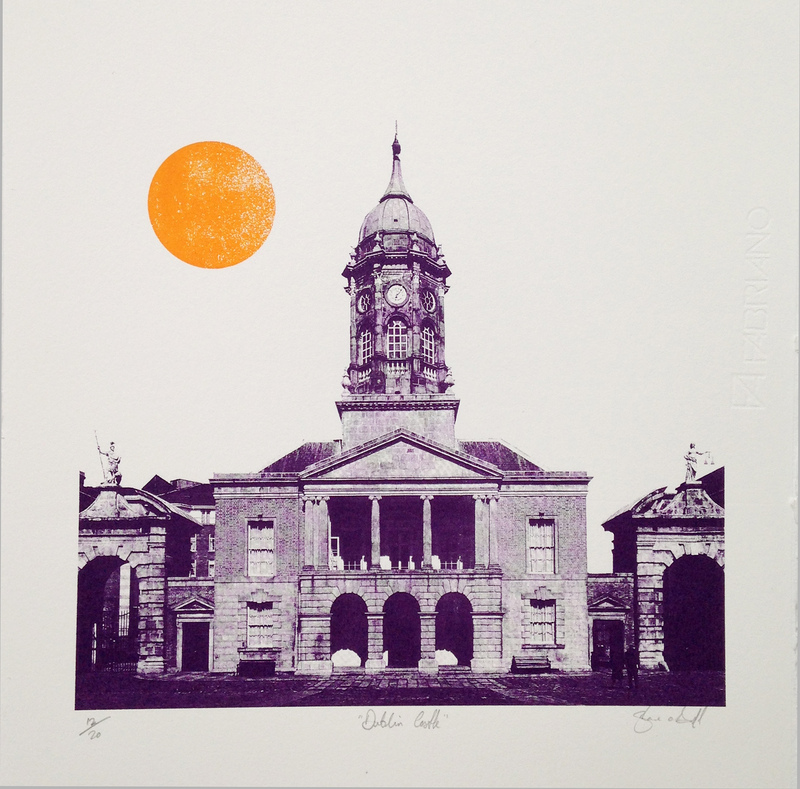 This is a print of Dublin Castle along with Shanes signature sun above the castle. Cara is a compositional piece based on the old ‘Cara’ matchbox. 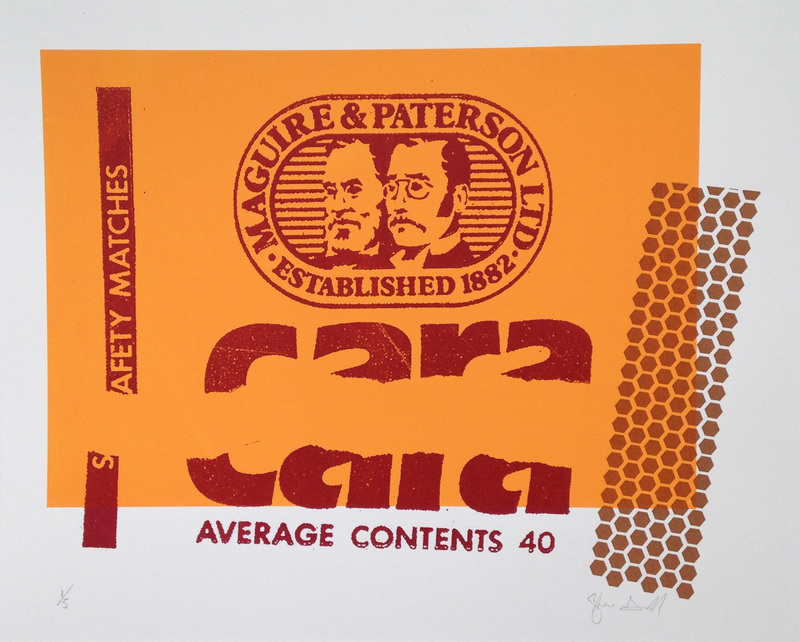 This is the last available print in the series, 2 of which were purchased by the Maguire family of ‘Maguire & Paterson’, the makers of Cara matches and another by the Irish Office of Public Works. Born in Cork, Ireland, Shane studied Visual Communications at Cork Institute of Technology, Ireland graduating in 2009. He has exhibited his work throughout Ireland and also in New York and Argentina. Shane was Ireland’s representative artist on a global campaign for Smirnoff vodka. 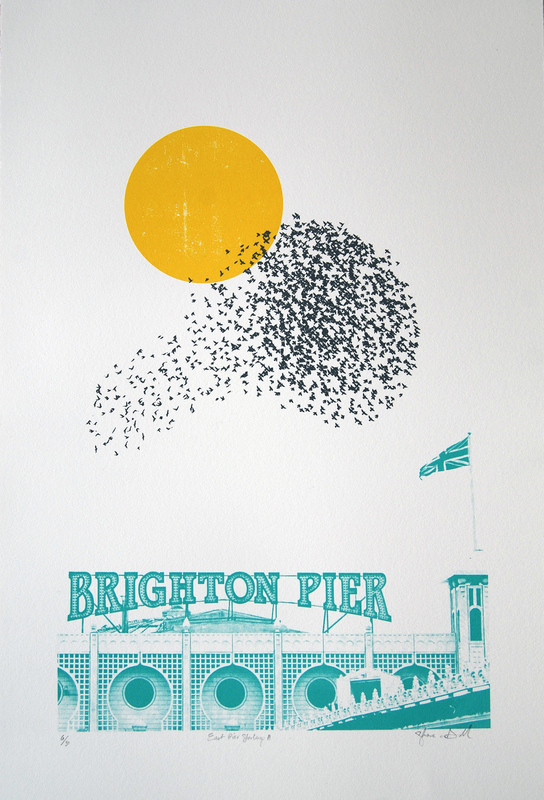 He has also shown work in The Irish Print Museum and has a number of works in the O.P.W. Shane is also a director of “For The Love Of”, a platform for both emerging and established Irish creative talents, which showcases their work together in one accessible and contemporary environment. As part of which, he has curated exhibitions for Design Week Ireland, PhotoIreland Festival and OFFSET creative festival.